Click on the image to see the full resolution! My part of a collaboration with CrimsonANBU (now “smoking crimson”) of TheOtaku. Inspired by, not an illustration of The Raven by Edgar Allen Poe. If you would like to colour this, you have to give credit for the lineart to me and link back to this blog and/or this post. You may not use this in commercial work, nor may you post it anywhere else “as is” without my express permission. 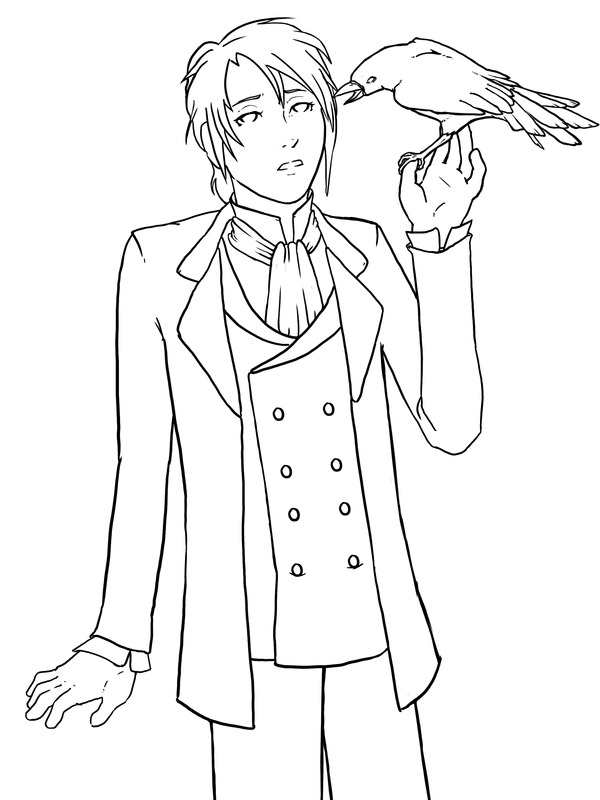 This entry was posted in Anime/Manga Series, Artwork, Original and tagged lineart, raven. Bookmark the permalink.